Hidden profit opportunities exist throughout most dealerships. Whether those opportunities present themselves through service customers migrating to sales or sales customers that become service customers, all can lead to increased revenue and building relationships with your customers. Many dealers, however, don’t incentivize those handoffs, so these episodes become missed opportunities, especially when it comes to recalls. According to an article in Automotive News, employees are motivated to work the pay plans they have been given within their department. These departments then operate as separate silos, making it hard for the dealership to act as a team. The problem with these kinds of incentive plans is that most service advisors don’t consider a recall a “red flag” that would prompt them to handoff the customer to sales because recalls aren’t considered “large repairs,” as there is no cost to the consumer. However, when it comes to recalls for late model vehicles, many vehicle owners face additional repairs that can be expensive and cost-prohibitive. These consumers need your guidance to walk them into a new car that is a more valid and attractive option. Here’s how it works: A well-trained (and compensated) service advisor identifies a large RO and quickly advises the sales manager about this customer with a massive service bill. Sales then research the customer, review the RO for their vehicle and select a potential new car and, if it makes sense, approaches the customer with an offer to upgrade to a more modern vehicle at a similar payment. By following this practice, you can end up with front-line quality vehicles after the recall (that you have to have to fix anyway) for a lot less than acquiring this inventory at auction. It’s a win-win opportunity – revenue from a sold unit AND profits from the trade-in after the recall repair is fixed. Sadly, however, while dealers are finally getting wind of equity mining and the benefits of those service-to-sales handoffs, customers coming in for recall repair work tend to get overlooked. 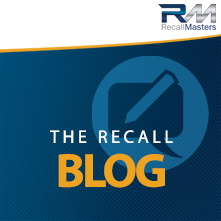 If you shift your gaze to include recall repairs, you can capture a significant additional revenue opportunity and do consumers a favor by ensuring those unsafe vehicles are no longer on the roads until they can receive the necessary repairs that make them safe to drive.